The 5th Annual British Poker Awards have just wrapped up at the Hippodrome in London tonight. 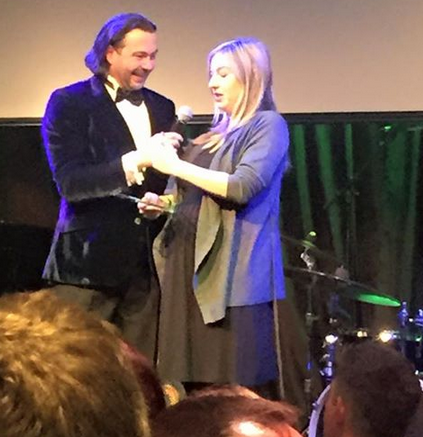 Victoria Coren Mitchell was the big winner, walking away with three trophies. The television presenter, columnist and respected poker player, won Performance of the Year for her EPT San Remo victory in April 2014, which made her the first and only player to win two titles on the European Poker Tour. She was also named Personality of the Year and Social Media User of the Year. "Vicky has been one of the trendsetters in poker for years, and her success in 2014 was fantastic to see," said Michael Caselli, Bluff Europe Magazine Editor-in-Chief and British Poker Awards organiser. "It was an honour to recognise UK poker's leading lights at a fantastic venue like the Hippodrome, and we would like to offer special thanks to our sponsors Unibet and RankingHero.com, and to everyone who came along to make the event so memorable," Caselli added. Hollywood Poker Open winner Simon Deadman, whose honours included the new Breakout Player of the Year award, and 2014 LA Poker Classic champion Chris Moorman were also multiple award winners. Moorman, named Online Player of the Year, was also given a special peer-voted Players' Player of the Year award. Drinks were on social poker platform RankingHero.com as poker fans rubbed shoulders with their heroes from the game. Event sponsor Unibet laid on a special pro-am bounty poker tournament in the Hippodrome's poker room featuring top players including World Series of Poker finalist Jorryt van Hoof. 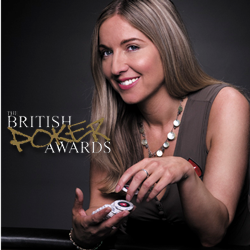 You'll find a full list of tonight's winners at www.thebritishpokerawards.com.